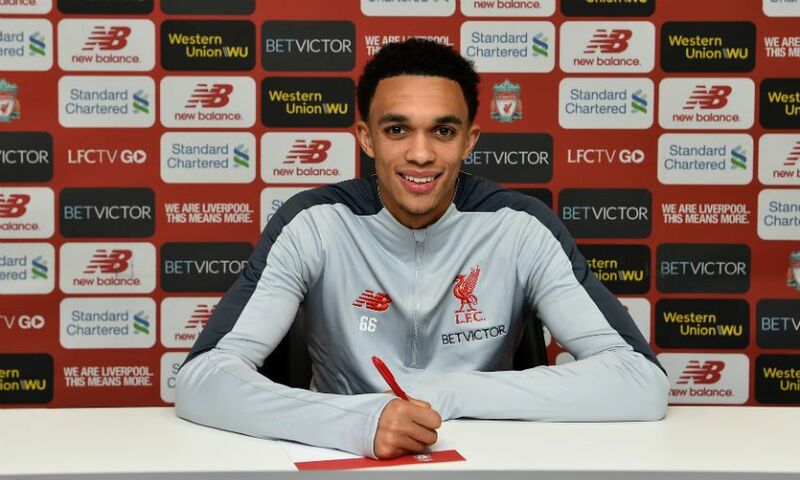 An Academy graduate who joined the Reds at the age of six, Alexander-Arnold committed his future to his boyhood club at Anfield on Saturday. And the full-back told Liverpoolfc.com of his delight at doing so shortly after putting pen to paper. The 20-year-old has progressed rapidly since making his senior debut in October 2016. Having established himself as a regular in Jürgen Klopp’s side he has, to date, made 67 first-team appearances for Liverpool, scoring four times. 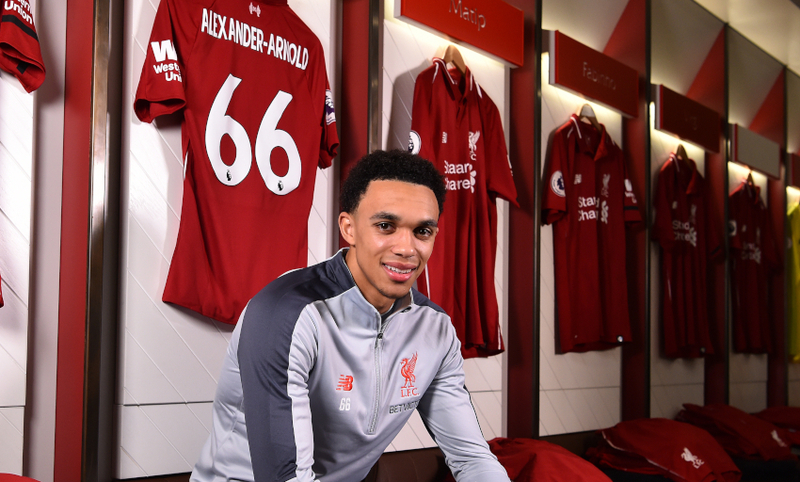 Alexander-Arnold has also earned international recognition at senior level and represented England at the 2018 World Cup. He has won five caps so far, and netted his first goal for his country in a 3-0 win over the United States at Wembley last November. The Scouser, who last signed terms with Liverpool 18 months ago, becomes the latest member of Klopp’s squad to pledge his future to the club. Andy Robertson did so earlier this week, while Roberto Firmino, Mohamed Salah, Jordan Henderson, Sadio Mane and Joe Gomez have also agreed new deals since April 2018.